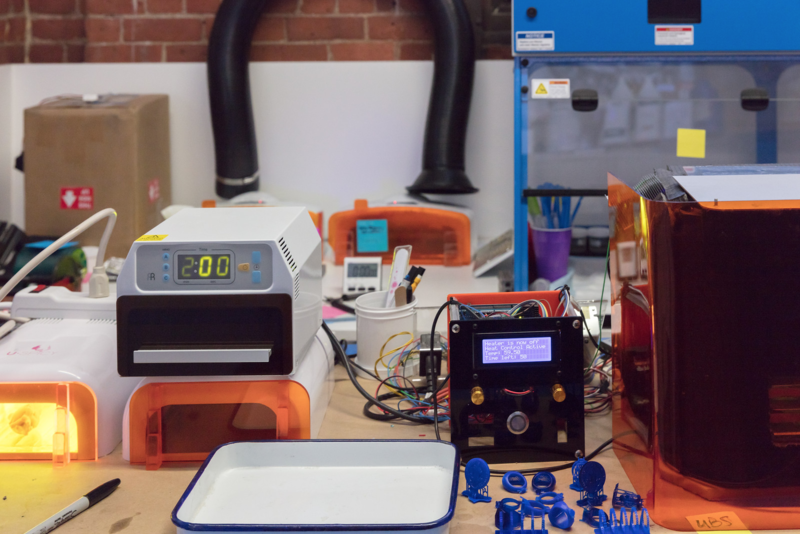 This post was written by Formlabs materials scientist Alex McCarthy. For a 3D printer to actually make a difference in people’s work, it needs to be capable of producing useful parts. A production tool is only as powerful as the objects it’s able to make, which are only as useful as the materials, and properties, they consist of. At Formlabs, we don’t just manufacture printers: we have an in-house team of materials scientists devoted to developing reliable, capable materials specifically for our machine. 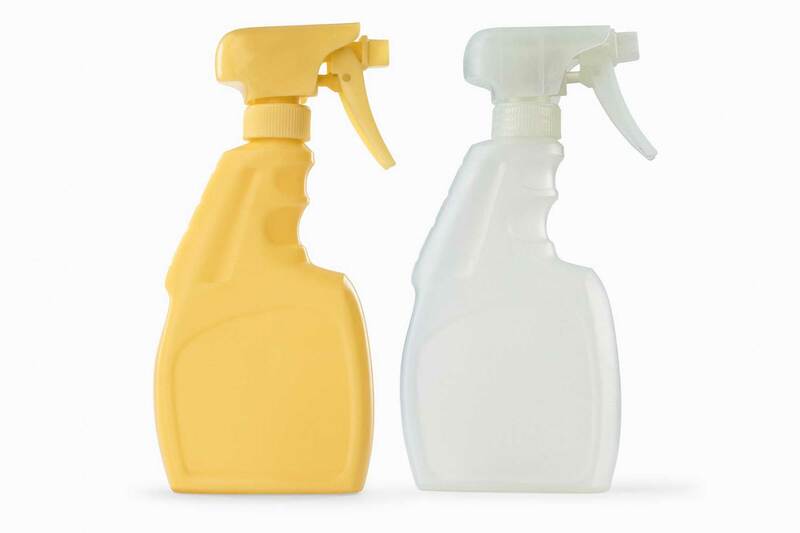 Last October, we announced our Durable Resin, a polypropylene-like material, as part of our Engineering Resins library. When we announced Durable, it was light yellow in color, but by the time it hit the market in January, it had become a frosted clear. At trade shows and online, we frequently hear questions about the color of our 3D printing resins. Why did the color of Durable change during reformulation? What colors are available? Why is this resin that color? In this post, we’ll shed some light on how we choose colors for our materials. When the development of any resin begins, we usually spend months working with a clear liquid, experimenting with samples of different components until we’re confident enough in the material’s properties. Once we’re confident in the material properties, we place a larger order and buy enough of our favorite formulation to begin internal testing. From there, we need to decide on the material’s color and opacity. Determining the final appearance can take weeks. Opacity comes down to personal preference and how we see the material being used. People like opaque materials because it’s easy to see details, thin features still look solid, and coloration is consistent across models. As we’ve worked on reformulations for our Standard Grey, White, and Black Resins, which are commonly used for modelmaking and prototyping, we’ve focused on efforts to make these materials more opaque. 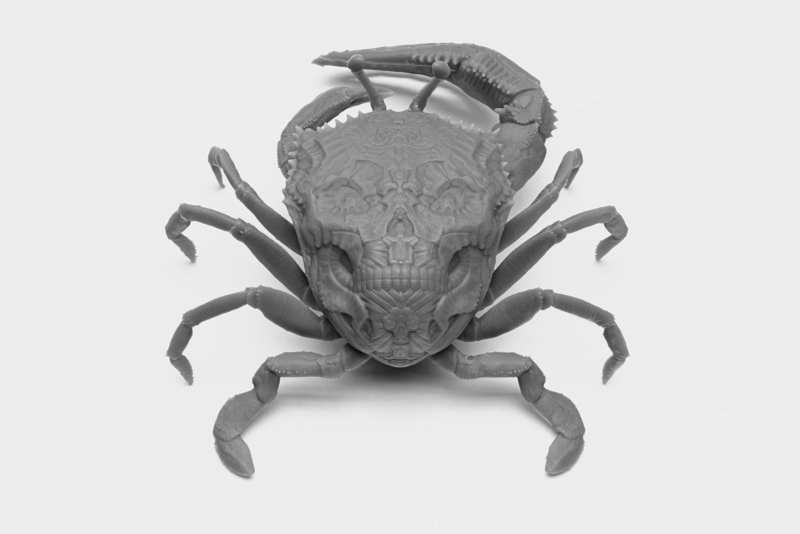 Skull Crab model designed by Tomas Wittelsbach, printed in Formlabs Grey Resin. On the other hand, transparent resins are helpful when it needs to be possible to see internal features. We’ve developed our clear materials like Clear and High Temp with applications such as moldmaking, microfluidics, and experiments like 3D printed camera lenses in mind. Transparent materials are less complicated to formulate, and when you're trying to push the boundaries of a physical property, such as temperature resistance in our High Temp Resin, it's generally good to simplify the formulation to make sure you get the most out of the new material. 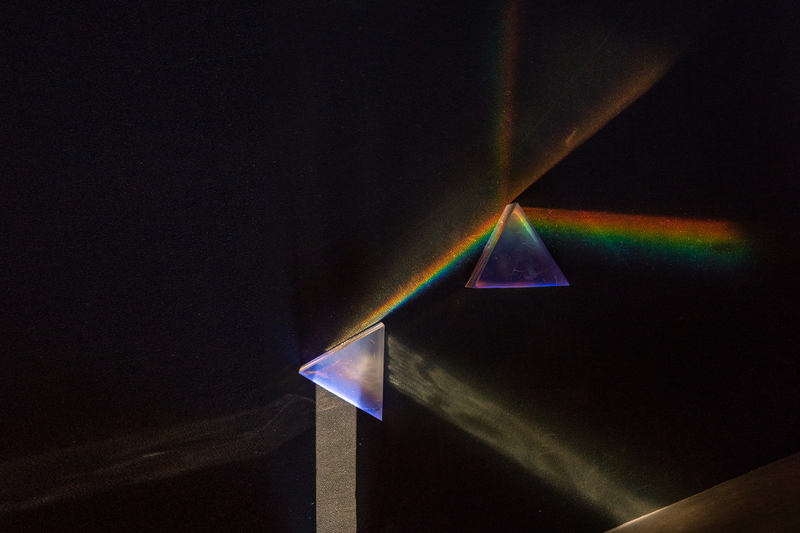 Prisms printed in Formlabs Clear Resin take advantage of its refractive properties. Pigment particles have different chemistry than resin, so they don’t dissolve in material, unlike other components. One of the main challenges of pigmenting resins is keeping these particles from settling, so resins are stable and minimize the need to shake the cartridge or mix the material before printing. The pigment particles themselves are are so small that on their own it takes a really long time for them to drift down to the bottom of the tank or cartridge. However, particles with similar chemistries like to group up. When particles find each other in the solution, they can clump together, and heavier clumps settle more quickly. To prevent this, once we’ve determined which pigments we’ll use, we also need to find additives to keep the particles separated. We use accelerated methods to test these additives so that we can get an idea of longevity before we ship any new material, and confirm stability over longer time periods. Since each resin has a different chemistry, we need to seek out different additives for every material. Go behind the scenes with our materials science team to learn about how they developed 9 new materials last year. Inspired by what you're reading? We're hiring! Now, you know the two main decisions we need to make when we create a new resin, and the basic chemistry behind them. Next, we’ll walk through five factors that we consider when we’re determining the final appearance of a resin. A resin's base formulation has a certain color due to the components it contains. When the team moves on to considering appearance, we’ll always opt for the color that enables the most stable formulation. Often, this means choosing a color that deviates minimally from the natural color of the base material. We’re trying to create the most user-friendly product possible, so stability is always our number one priority during resin development&ndash;and one of the main factors that sets our in-house materials apart from third-party resins. Our in-house software team collaborates with our materials team to make sure PreForm settings are dialed in for reliable printing. We don’t stop developing a material once we’ve achieved the desired properties: we put a lot of time into developing materials that will remain reliable and stable over a long period of time, minimizing the need to shake the cartridge or worry about settling every time they print, even after shipping globally. Durable Resin’s color before and after reformulation. Staying close to the base colors allowed us to optimize for stability. In the case of the original version of Durable Resin, our formulation included a component that gave the material a yellow hue. Given the option of adding more pigments to make it black or dark grey to cover that tint, or going with yellow, we decided to own the yellow color and add white pigment to make the resin opaque. Staying close to the original color allowed us to optimize for stability. Many of Formlabs’ resins are meant to serve very specific purposes. You can always prime and paint a part to achieve whatever color you like, but you can’t alter a material’s mechanical properties. This is why in developing materials, we often prioritize mechanical properties over coloration. For example, with our High Temp Resin, the most important quality is heat resistance, so if there was an option to give it even a little more heat resistance, we went with that option. We were concerned that unreacted components in pigments might not withstand high temperatures. We didn't add any colorants so we could squeeze just a little more heat resistance from the formulation. Post-cure chambers are used to test optimal post-cure settings for our resins. Another example of a situation where function took precedent over appearance was the first version of our Castable Resin. We knew we wanted the resin to be colored so details would be visible, since a common use for this material would be highly detailed jewelry. However, we also worried that pigments might affect how the material burned out, and whether pigment would be left over. In version 1, we used a less opaque material, and released an opaque material (Castable Resin v2) after a lot of additional testing to ensure pigments didn’t negatively impact function. How will people be using this material? Will the color be appropriate for most of these use cases? For every material we develop, we consider what people will be printing with it. We can’t predict every use case, but we can predict some of the qualities that might be most handy. For Castable, an opaque material shows details better. For High Temp, a clear material means you can see internal features. For Grey, a matte material photographs well right out of the printer, regardless of your application. 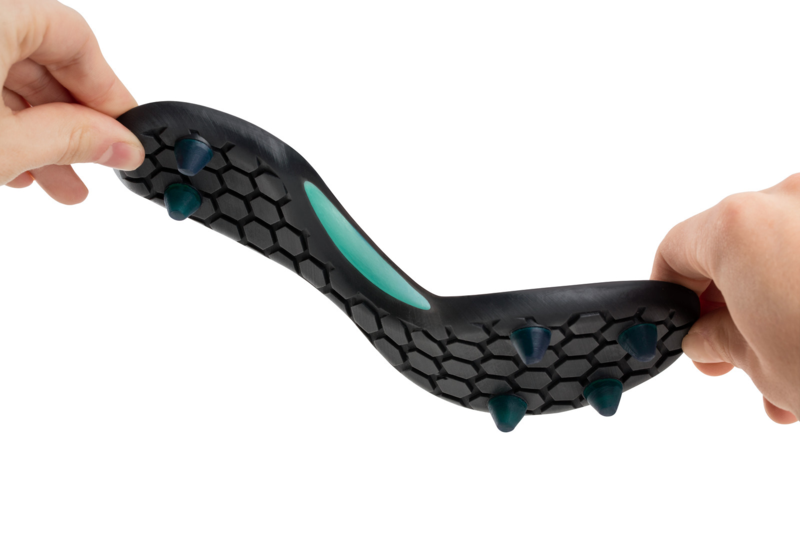 Flexible Resin is dark grey in color to emulate the rubber parts it’s used to model. Our Flexible Resin, which is similar to an 80-durometer rubber, was originally clear, but when we reformulated it and thought about what people were using it to model, we decided to go with an opaque dark grey to simulate the look of many hard rubbers. For Durable, we knew that a common use case would be for making packaging. In the final formulation, we decided to emulate the coloration of cloudy, translucent polypropylene. Earlier in this post, we described the chemistry behind pigments, and why each color requires different additives to keep resins more stable. Although we could go through the process of finding additives to support a new pigment every time, we try to re-use tried-and-true pigments when possible so we can launch materials sooner and feel extra certain about the stability of new materials. For example, when we launched our Tough Resin, we decided to use some of the same blue pigment that we used for our Castable Resin, but with additional black to make it more subtle. Because we were already comfortable with the color, we already knew how to deal with stability issues and could focus on mechanical properties. As we’ve reformulated our Standard Resins, we continue to learn from each new formulation to make these materials more opaque and matte and apply these lessons to the next iteration. Tough Resin produces sturdy, shatter-resistant parts. In CAD software, colors are typically used more for differentiation between materials and functions than for aesthetic flair. We treat our resin library similarly. As we test new materials, we think a lot about how they fit into our overall lineup of resins. Does this material look like it’s part of a cohesive library? When we choose colors for new materials, we consider how they’ll fit in with our existing library. We also need to consider differentiation within our library. Even when we’re re-using the same pigments for different materials for stability’s sake, we need to ensure that the materials are differentiated enough both as a liquid in the tank and in final parts to prevent mixups, since many of our users stock multiple materials. 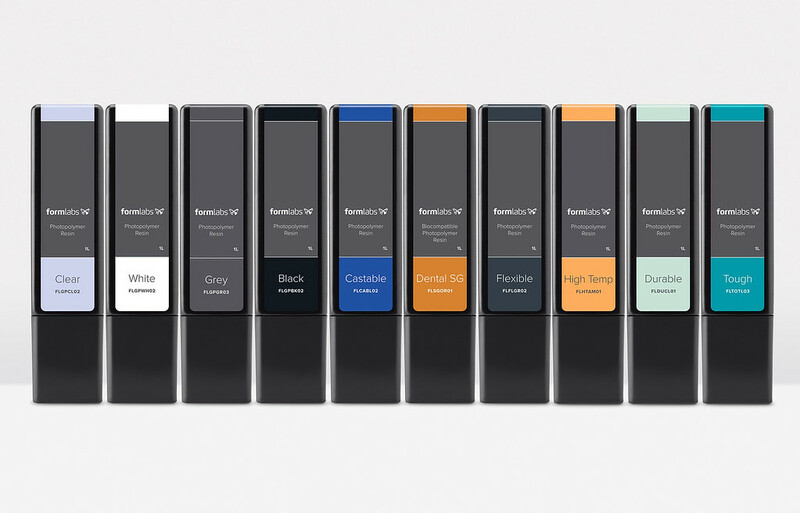 Hopefully this post helped elucidate the process of how Formlabs chooses resin colors, and what the colors are meant to do. If you’re interested in finishing your parts in colors beyond what’s available, check out our tutorials on priming and painting, or our recent experiment with immersion printing for 3D printed parts. 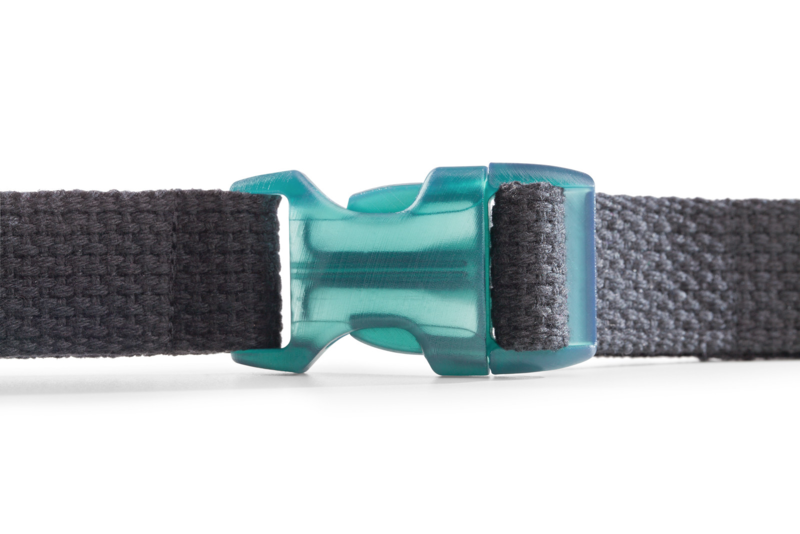 Durable was designed to simulate polypropylene (PP) plastic, with comparable low modulus and high-impact strength. Want to see what (frosted clear, not yellow) Durable is like for yourself? Request a free sample part!